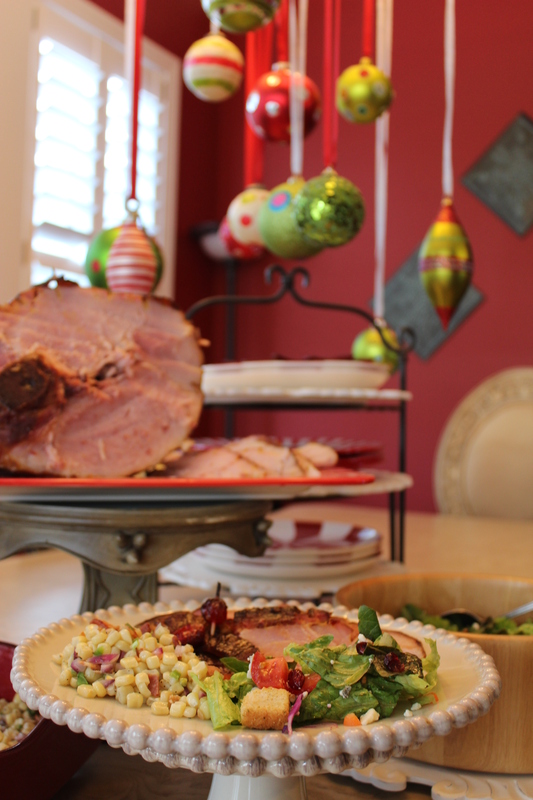 The protein is always the center piece for a holiday dinner. This Twice Smoked Ham makes a beautiful presentation and it’s fairly easy to do on any grill. Cooking your holiday centerpiece outside makes room for the rest of the dinner in your kitchen oven. Ham is a body part. It is the back leg of a hog. 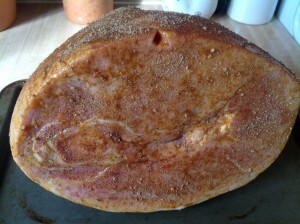 The ham you generally buy is cured and smoked at the processor (Once Smoked). It’s considered thoroughly cooked, so all you are doing is warming it up to serve (Twice Smoked). Be careful not to overcook this roast. Too many cooks use too much heat and produce a dry, tasteless product. 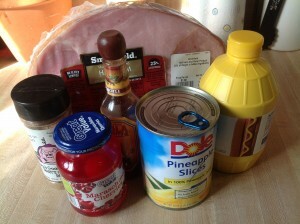 Assemble a good quality ham, mustard, hot sauce, pineapple rings, maraschino cherries, and a good BBQ style dry rub. 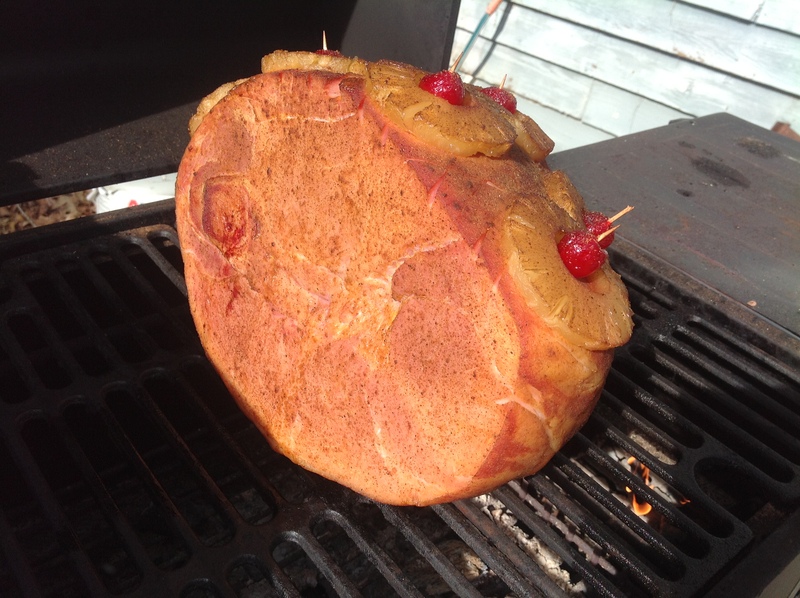 This ham was done with a cherry flavored rub to continue the fruit flavors through the process. 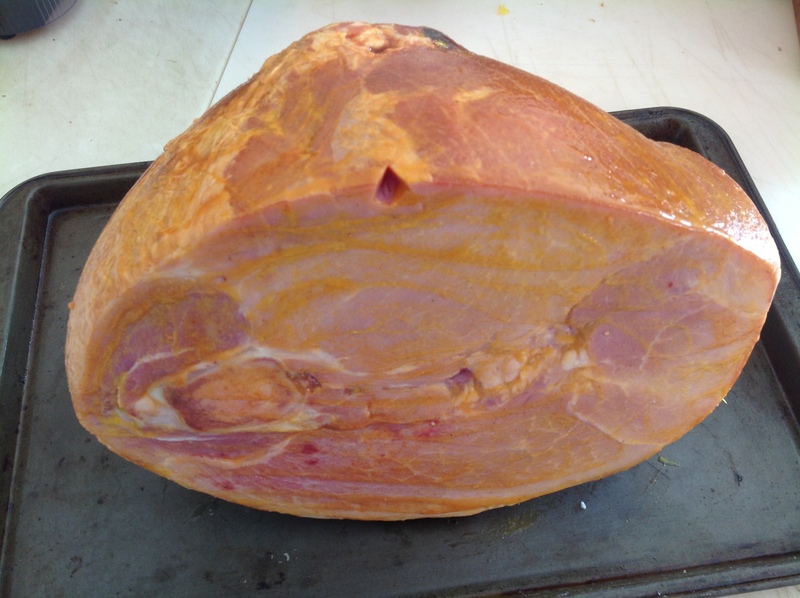 Unwrap the ham, rinse it under some cold water, pat it dry and lay it on a sheet pan or cookie sheet. Select a sharp paring knife or slicing knife to score with. 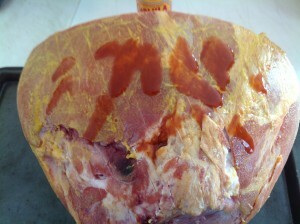 Carefully score the outside of the ham cutting in a straight and parallel pattern, being careful not to cut too deep. Scoring too deep can give the moisture a place to escape and cause too much moisture loss. This process gives the spice rub a good place to latch on to and creates a beautiful finished product. Liberally coat with your spices and rub it in thoroughly. Make sure you get a good coating all over. Prepare and preheat a clean, medium heat, grill. We actually cooked two hams for this show. Jack cooked one on a pit he calls Arlene. 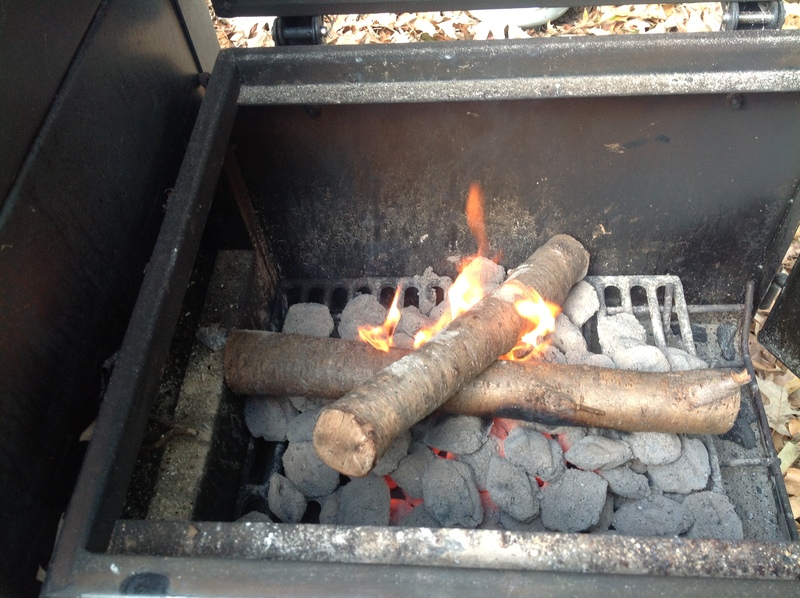 It was cooked offset using charcoal briquettes and peach wood. 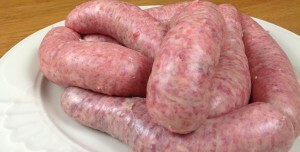 The one prepared and cooked on the show, was cooked in a ECB (el cheapo Brinkman) using briquettes and hickory chunks. The process takes a few hours and we use the miracle of modern television to our advantage. Both methods produced Grate results. Place the ham on the grill, cover, and cook for about 2 or 3 hours at a temperature above 250 and below 300 degrees. 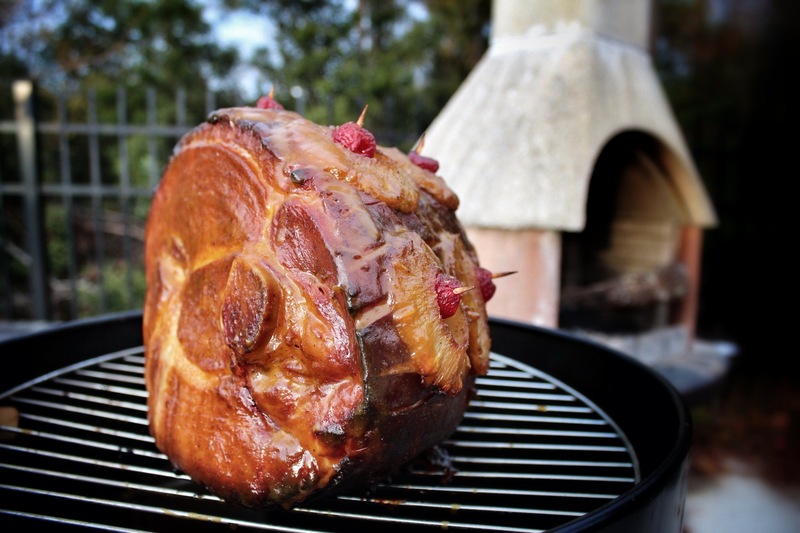 If you are using a gas grill, put the ham on the cool side. Check it at 2 hours and judge the color. 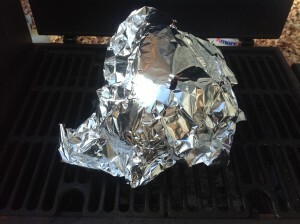 If the ham looks great and you don’t want it to get a darker color, tent it with foil. Wrapping is futile; there are just too many sharp points on the toothpicks. Don’t worry about a couple of holes in the foil. It’s just there to protect the beautiful hue and bark we produced with the fire. Cover and continue to cook the ham for about 2 more hours or until the ham reaches an internal temperature of 150 degrees. While you are waiting, prepare a simple ham glaze like Danny’s Glaze and apply 3 or 4 coats during the last ½ hour of cooking. Apply the last coat of glaze just before you are ready to take the ham off of the grill. It should turn a beautiful mahogany color and set while it cools. 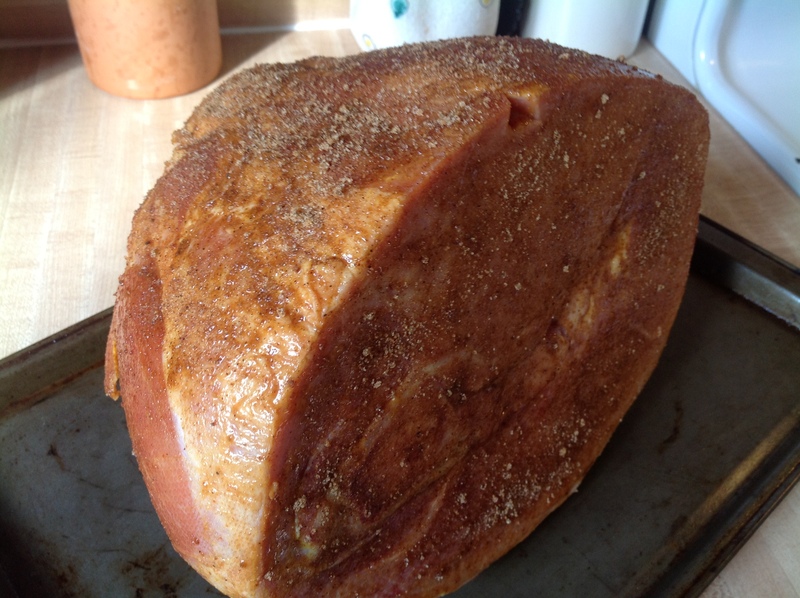 Remove the ham from the grill; allow it to rest for about 20 minutes on your counter to redistribute the moisture. Carve and serve. 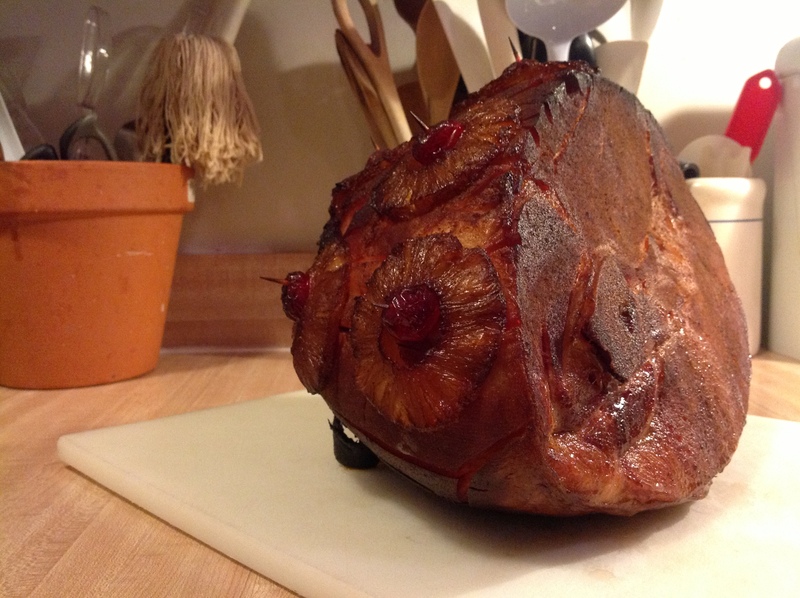 Ham makes a beautiful centerpiece for a holiday dinner. 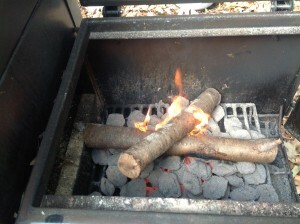 Preheat a clean medium heat grill to about 300 – 325 degrees. 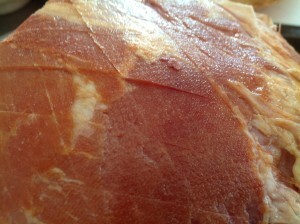 Score ham with a sharp knife making a square pattern. Coat the ham generously with cheap yellow mustard. Add the hot sauce and continue to rub the mustard/hot sauce mixture well into the meat. Generously coat the ham with a good BBQ dry rub or the seasoning of your choice. Put the ham on the cool side of the grill, cover and cook for about 2 hours. Look at the ham and decide if the color is correct. If it is, tent ham with foil, cover and continue to cook until the ham reaches an internal temperature of 150 degrees; about 2 or 3 more hours, for a total of 4 – 5 hours. Mix the glaze and start applying every 10 minutes during the last ½ hour of the cook. 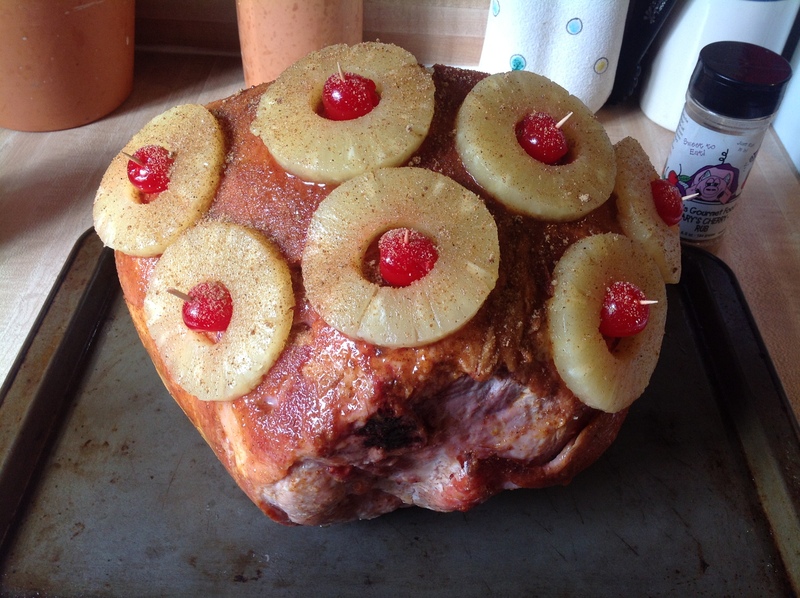 Make sure you apply the last coat just before you are taking the ham off to rest. Rest the ham for 15 – 20 minutes, carve and serve. Tailgate Recipe: Marriages with Pig Candy, Pickle Recipe!